International Women’s Day is celebrated on 8th March all over the world.It focuses on gender equality, respect, love and appreciation of all women be it in the economic, political or social field. Every year the themes vary. This year the theme is “Be Bold for Change”.While many women have been recognized for their achievements in many countries, there are still many more countries that believe in subduing the growth of women. Whether a woman is working or a homemaker all deserve to be recognized and appreciated. 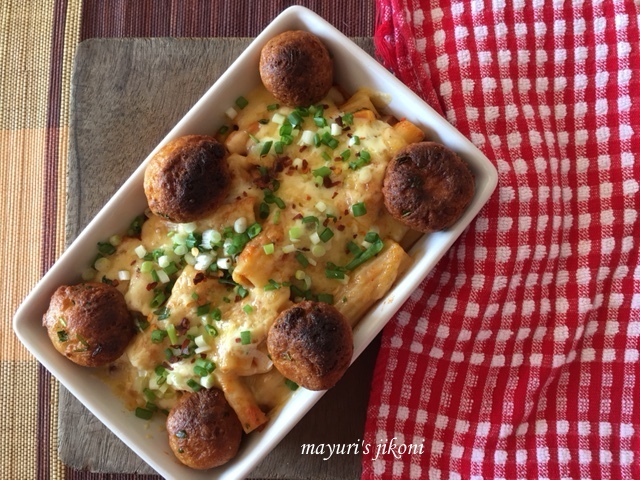 Our #FoodieMonday #Bloghop group decided to have Women’s Day treat as the 82nd theme. I would like to take this opportunity to recognize women who have influenced the way I think and lead my life. Top of the list is my mother. Coming from a very small village in Gujarat, she left family and friends to start her new life as my dad’s wife in Kenya. She didn’t have any family or friends in Nairobi. Back then communicating with her parents and brothers was not easy as hand written letters sometimes took weeks to reach her village Koyali. My dad’s family were all strangers for her as it was an arranged marriage. However, she took up the new challenge with much courage and gusto. She didn’t know how to swim but that did not stop her from enjoying a dip in the sea whenever we visited Mombasa. Basically she taught us to face any new challenges head on. My kaki (aunt) for encouraging me to try out new things, be it new recipes, new styles and learning to drive a car. She’s also guided me on how to raise my children. My advisor and my friend, that’s my kaki. If today I am able to stand in front of a crowd and speak with confidence is all due to my best friend Daxa. I remember when I had just joined the Lions Club and I was suppose to give the vote of thanks for a function, I was a bag of nerves. She gave me valuable tips to carry out the task. My mother in law and her good friend – K taught be how to host parties with grace and confidence. Learning from both of them has made preparing for dinners, lunches and tea parties easier and enjoyable. I also must mention my mamiji Hemalata. I admire her for the way she has faced and faces any adversities in her life. Her spirit for life and how to smile through rough periods is something I hope that I am able to do when I am in such situations. There are so many women, ordinary and famous that influence the way I think and live, but that would require me to write just about them and forget about today’s recipe. I made Mexican Macaroni in honour of the late Tarla Dalal. While I learnt to cook the basic everyday Gujarati dishes from my mum, its Tarla Dalal’s books that opened up a whole new world of different cuisines for me. Whenever we dined out as a family at an Indian, Italian or Chinese Restaurants, vegetarian options were limited. However, Tarla Dalal made us realize that vegetarian dishes are not limited to just stir fries, boiled vegetables and curries. Every weekend, my kaki and I would try something new from her books right from salads to desserts. When I was in college, my friends A and S and I would open up a Tarla Dalal book and decide what to make if we were spending Friday evening at each others homes. Sometimes the end result would be no where near to Tarla Dalal’s recipe or photos but our families ate it with a smile. Its because of her books and recipes that I ventured out to try baking, other cuisines, different salads and desserts. As I grew up, I was exposed to recipes by other chefs and cooks, but it was Tarla Dalal who taught me that if ready sauces, condiments, etc are not available, that should not stop us from making new dishes. We just had to innovate. Over the years I have learnt to modify some of her recipes, I don’t make home made ice creams every time for desserts, I do add my own ingredients and sauces. One such dish that I have over the years modified is her Macaroni a la Mexican. I’ve done away with the layers and mix everything together. I still make the cheese balls to go with and sometimes mix it into the dish. So here’s my version of the Mexican Macaroni. Mix grated paneer, flour, salt, chilli, coriander and baking soda together. Take about a tbsp of the mixture and make it into a round ball. Keep it on the side. Make balls with the remaining mixture. Heat oil for deep frying in a wok, karai or frying pan over medium heat. When the oil is hot deep fry the balls in batches till they are golden brown. Keep them on the side till required. Add the chopped onions and bell pepper. Saute them till they are soft and slightly cooked. Add the garlic paste. Stir fry for a few seconds. Add the tomato puree, oregano, taco seasoning, salt and pepper. Mix well. Cover the pan and cook the tomato puree till it becomes a little thick. Add beans, corn, coriander, cream and pasta. Mix well, let it become hot. Spoon the pasta mixture into 4 serving bowls. Drizzle the fresh cream over it. Bake under a hot grill or broiler till the cheese melts. Arrange cheese balls over the baked pasta, sprinkle some spring onion and serve. Use any shape of pasta that is available. Add other vegs of your choice. What a lovely write up dee and anything Mexican is tasty for me and the look of the macaroni says it all. Lovely write up Mayuri. Macaroni looks super tempting. Awesome share. Thank you Alka, I am so grateful to all the women. Thank you Pushpita. Glad to have all those women in my life. Thank you Saswati, I too love the Mexican flavoured macaroni. Thanks for the kind words Kriti… I was truly blessed to be brought up in a huge family.